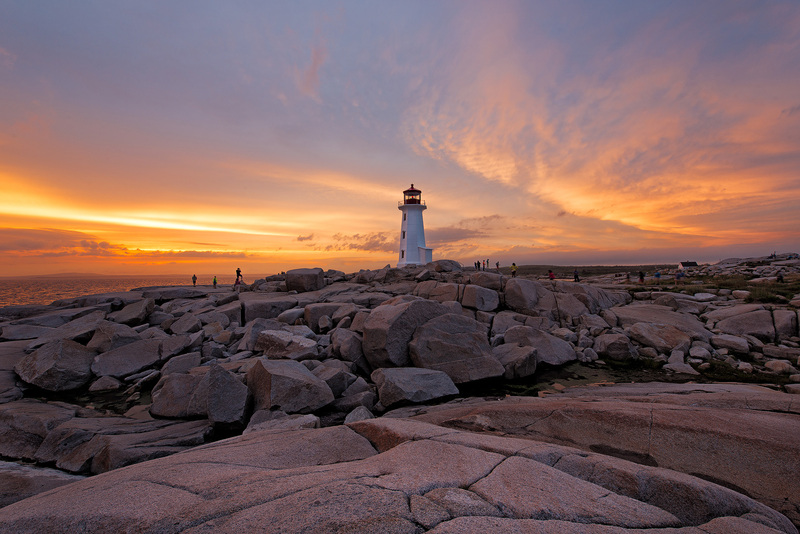 Peggys Cove is an amazing little harbor town and this lighthouse is the star attraction! Buses run in and out all day ferrying passengers from all over the world to let them see this iconic place. Perfectly situated on stones that would make any child's playground seems dull, at least that is what my kids thought as I watch them run up, down and around these massive boulders. The crashing waves of the Atlantic let you know its no joke to play too far over the edge but one could sit here all day and enjoy this scene from sunrise to sunset.